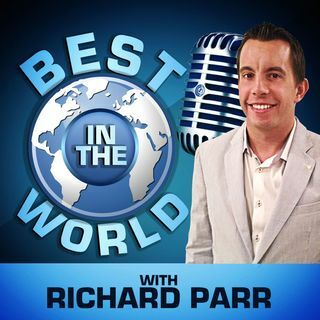 Each week on the ‘Best In the World’ Podcast Richard Parr talks to athletes and sports stars who have reached the pinnacles of their careers. These are World Champions, Olympic Champions, World Record Holders and World Number Ones. The show delves into what these talented individuals have done to achieve their success. This includes ... See More training, nutrition, determination, sacrifices, time management, home environment and much more. Richard wants to know what they do so we can improve our own lives. All of the episodes are available at sportuccino.com. You can connect with Richard on twitter @richard_parr .